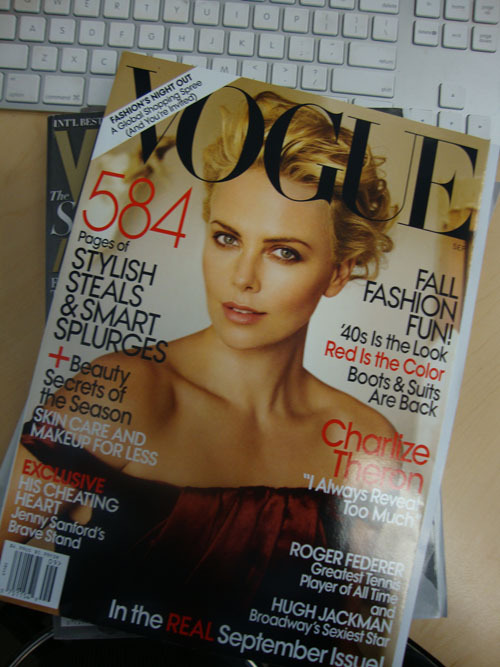 That said, why don’t we start off with the mother of all September issues: Vogue. Name dropping bonus points: There is a feature on Abbie Cornish’s new movie, “Bright Star” and she was recently featured in W wearing a Sara Shepherd (an alumna) piece. Also, Chanel Iman was featured in the “Beauty Index” section of the mag – she modeled in our February New York Show. 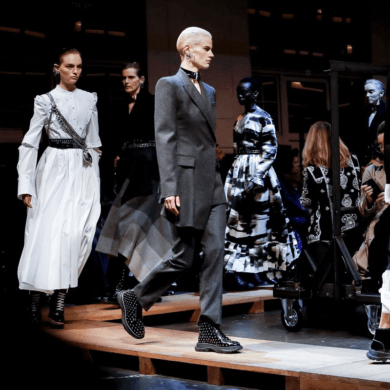 Next Alums take over New York Fashion Week!